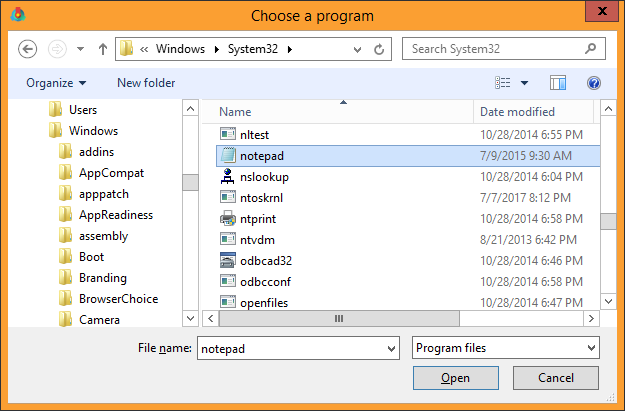 Here you can configure the list of applications that should or should not be affected by TidyTabs. To access this screen, double-click on the tray icon, at the bottom-right corner of the screen, and click on EXCLUSIONS. Exclusion mode: this setting allows you to choose between two different exclusion systems. The default value is Blacklist. Blacklist: when selected, TidyTabs will add a tabbed shell to all your applications, except the ones listed in Exclusion list. 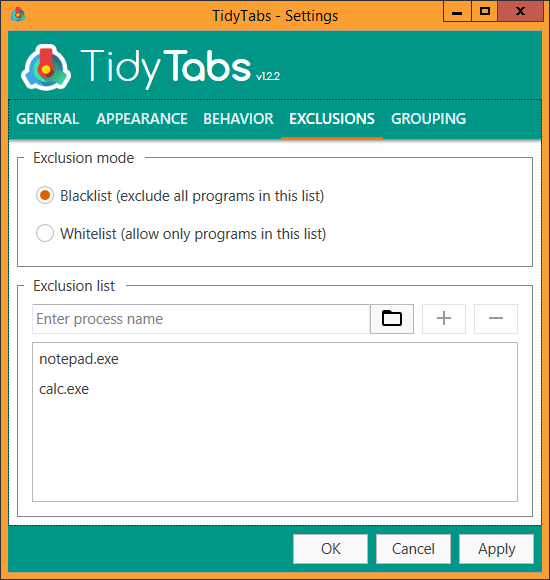 Whitelist: when selected, TidyTabs will add a tabbed shell only to the applications listed in Exclusion list. The other applications will not be affected by TidyTabs.